Can they make a life together or is the pull of the sky too strong? 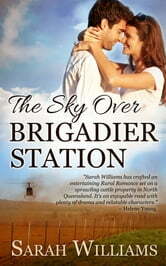 Noah McGuire stayed away from Brigadier Station for a reason. He’s spent almost a decade in New Zealand’s South Island, trying to forget his past. But the memories still haunt him and the last thing he wants to do is see his estranged family and attend his brother’s wedding. However, the only way he can collect his inheritance is if he returns to his family’s property and faces the demons he’s been hiding from. When it comes to rounding up hundreds of cattle in a day, doing so by horseback doesn’t do the trick quite like a helicopter does and Riley Sinclair is one of the best pilots in the country. It’s a dangerous job, but she has nothing to lose. Until she meets Noah and her bravery is finally tested. 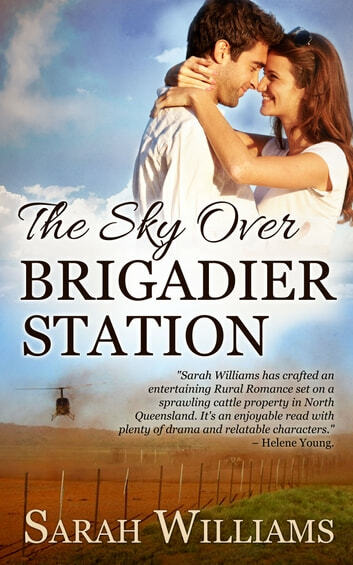 The Sky over Brigadier Station is the second in the Brigadier Station series which is set near Julia Creek in the isolated Queensland Outback of Australia.